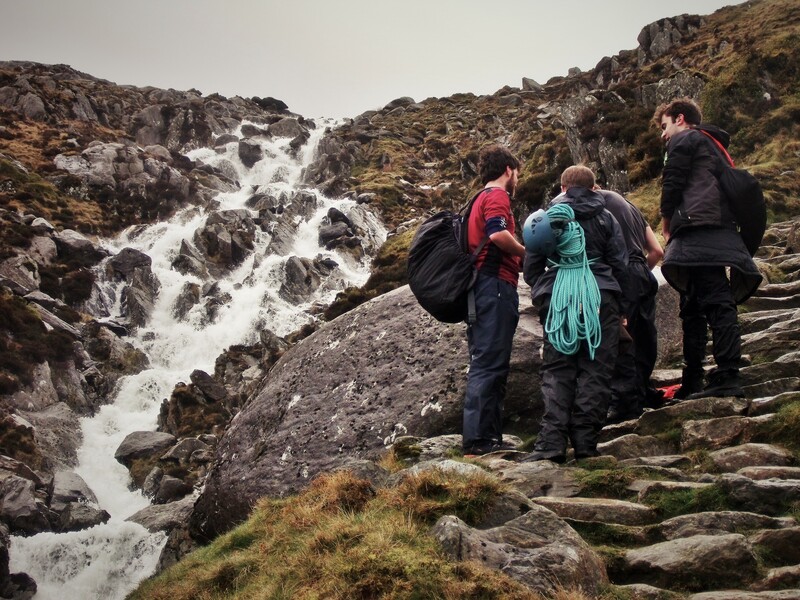 Having read several hours earlier that the weekend’s weather was set to comprise torrential rain and gale force winds, we were pleasantly surprised as we arrived into Snowdonia National Park to instead be greeted by heavy rain and strong winds. It was, in the light of perspective, a beautiful day. ‘You’ll be fine,’ he reassured, passing me a harness and throwing a sling around my neck. Leaving the road in our wake, we clambered over a dry-stone wall and onto an odorous bog dotted with large slabs of granite. 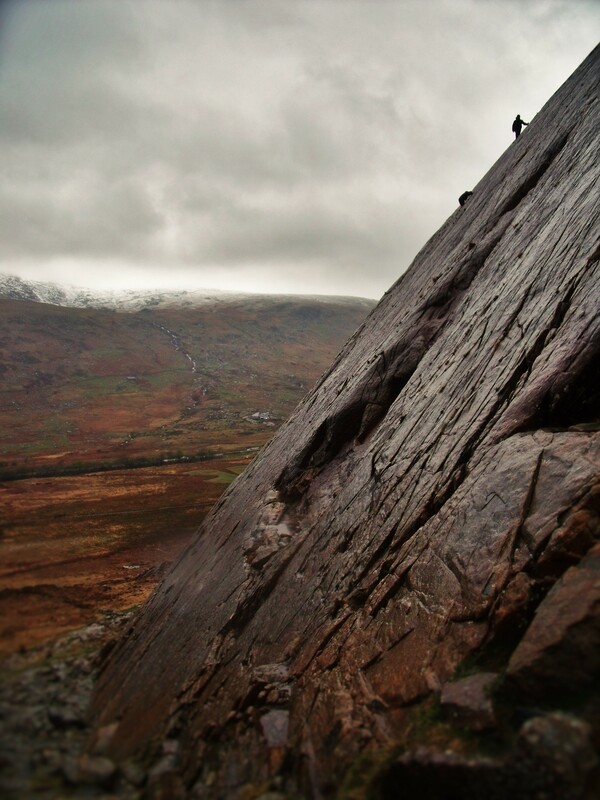 We traversed the uneven ground for an hour or two, stopping momentarily to test our footing on an angled rock face just south of the park’s Glyderau Range. Having slipped from a hold after several metres of climbing, I then watched on as both Johnny and Phil scrambled to the top of the encampment with what appeared to be relative ease. 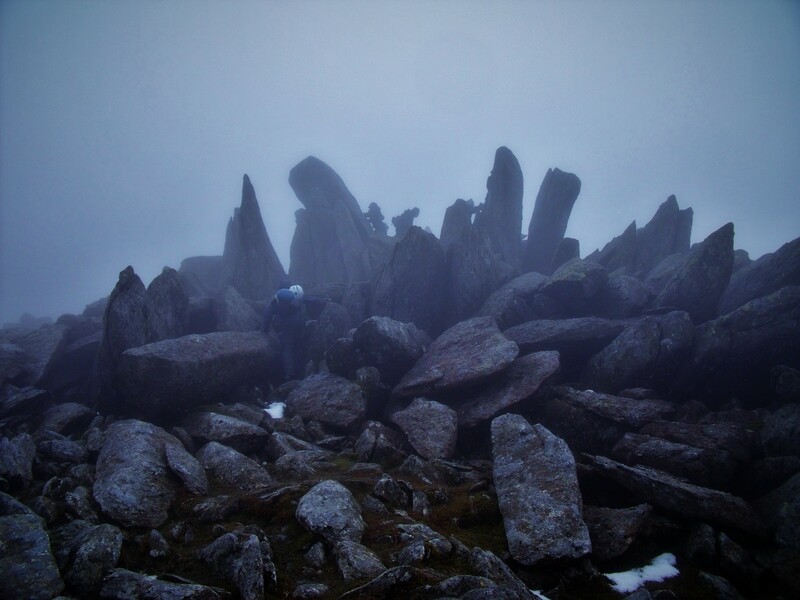 By the time we reached the buttressed scree slopes of Glyder Fawr, a 1,000-metre-high ridgeline hidden by a thick blanket of mist, my feet were sodden and my cheeks numb from the wind and rain. Johnny, a seasoned climber with an almost flawless safety record, knotted a rope around my harness before pulling himself up onto the rock. 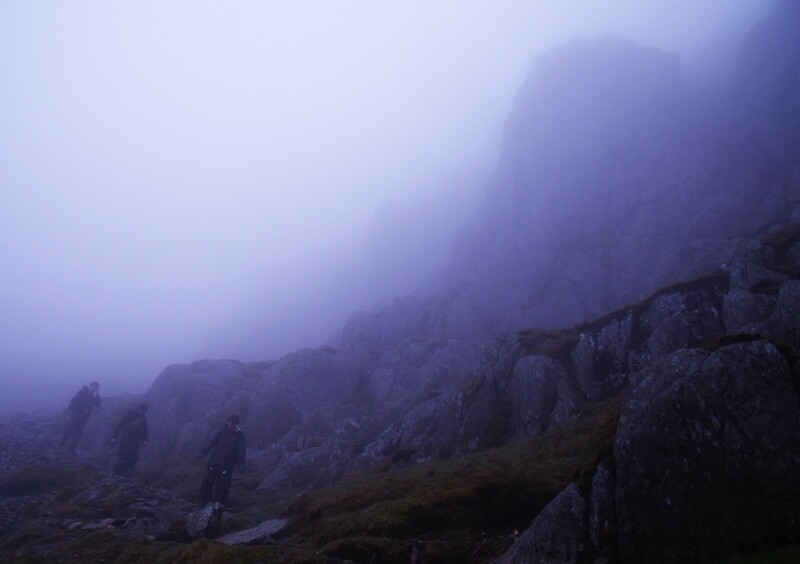 He fixed a piece of gear into a narrow crack and disappeared into the fog. ‘Unclip from the safety as you go,’ Phil said. ‘And if you hear someone shouting ‘rock’, get close to the wall. 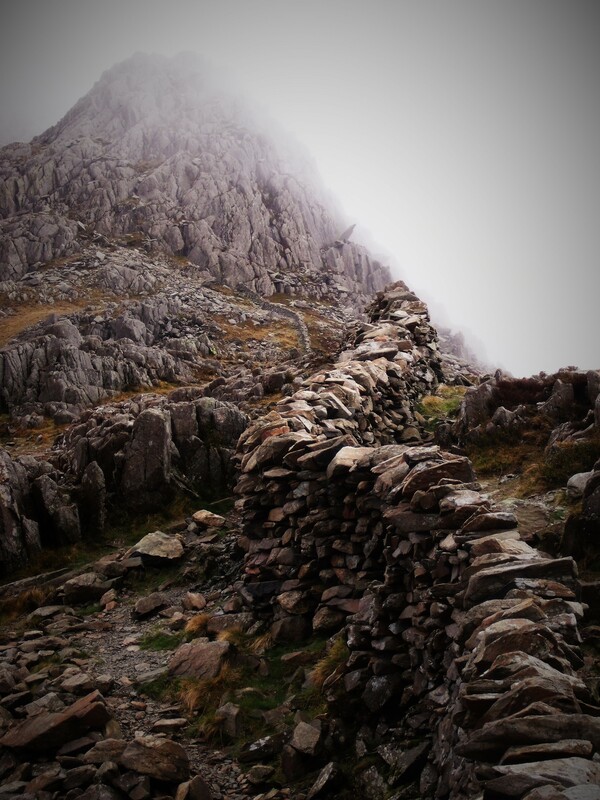 Grabbing the wall, I hauled myself up, slipping on the small patches of snow that populated the exposed footholds. For 30 metres I climbed, feeling my fingers weaken and my mental strength fade, eventually concluding, as I reached Johnny on the safety of a narrow ledge, that I was incurably inflexible. Half a dozen pitches later snow began to fleck the air and, when we eventually reached the crest of the mountain four hours later, visibility had reduced to just five metres. Feeling my heart rate slow to more familiar pace, I took in the morose scene of translucence and jagged rock. I loved this and the photos are so beautiful. Thank you! Thank you Martha, it’s a quite magnificent place! Wow, what an adventure! Fabulous pictures. Type II fun, I knew it should have a name! Love the fog. Amazing photos! Especially the sheer rock face. This must have been some adventure and I’m sure the view was worth it. Thanks for sharing the journey. It certainly was, climbing is not m forte and I think I was breathless for the entire ascent!